* DBC vs RCC Building Funds: Bob Enyart compares the Denver Bible Church approach to the use of money in a "building fund" to that of the San Jose Catholic Diocese, although admittedly, they Catholics have $100 for every $1 that DBC has. Yet while the Roman Catholic Church is spending $2.3 million on the retirement home for Bishop Patrick McGrath, which he'll move into after he finishes mopping up the priest child molestation crimes in his diocese, DBC took a different approach to such funds that were donated for a very specific purpose. Bob also discusses how we've decided to use the large donation given in August and entrusted to him and members of Denver Bible Church to fight to stop the killing of unborn children. Finally, Bob gives a tour of the comment section under our videos at the BEL channel over at youtube.com/user/BobEnyartLive. * Enyart Again Intentionally Misquotes the Bible: He's had this problem for at least six years! 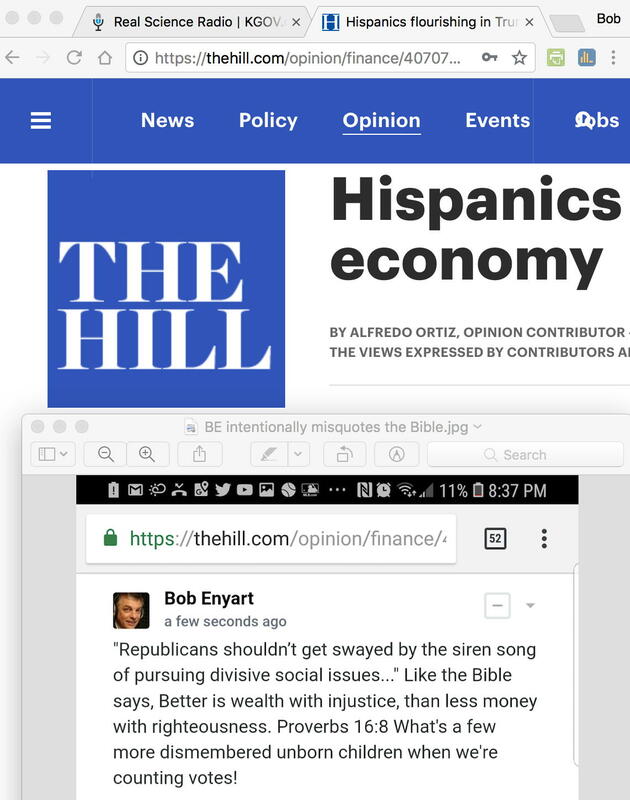 Today, commenting on an article by Alfredo Ortiz in The Hill, Bob misquoted Proverbs 16:8. Perhaps we'll talk about this on a program next week.